Seems like buyers of Centrale 8 units have been facing a lot of troubles. ".... Centrale 8 has launched at about double the price fetched by The Premiere four years ago. The launch price for a five-room flat at The Premiere was between $308,000 and $450,000 in 2006. 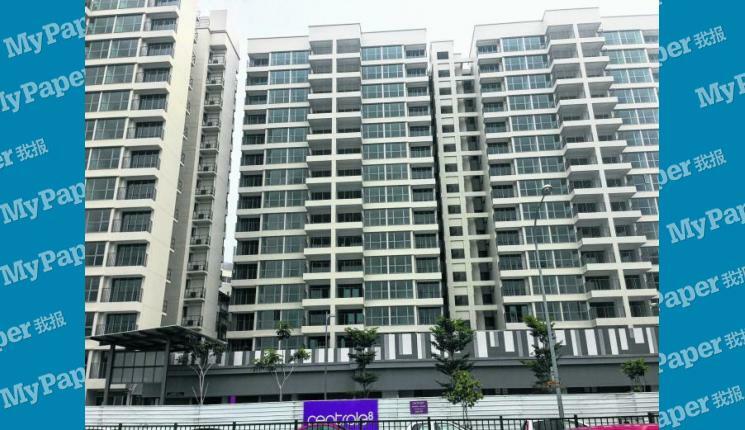 Prices for a five-room flat at Centrale 8 were between $685,000 and $880,000 when the showflat was opened to buyers on Thursday last week. This has led to some interested buyers baulking at the asking price of what are set to be Singapore's most expensive HDB flats." "After getting their letters from Sim Lian Group, the home owners were told early last month that there would be a delay in the handing over of keys because of the vesting process, which involves the Housing Board. This process involves transferring the entire development site to the HDB for lease administration, and to the Town Council for maintenance of the common areas and carparks. When contacted, a Sim Lian Group spokesman said: "Buyers should note that the expected vacant possession date is an estimated one and actual delivery of vacant possession may occur before or after the vacant possession date." Property experts said developers do not usually issue such letters to buyers unless they are absolutely sure of the dates. ECG Group chief executive Eric Cheng said: "Owners might commit to the date given and, if the deadline is not met, the reputation and credibility of the developer would be doubted." But, as long as the developer has not busted the legal date of completion, it has done nothing wrong. "I would also recommend that owners be prudent and not take these dates as foolproof." Now, around a year later, Centrale 8 made headlines again for making homeowners upset about the quality of the finishes and fittings in their premium flats..
"At least 30 residents of the Design, Build and Sell Scheme (DBSS) project told The Straits Times that they hope the developer, Sim Lian Group, can extend the one-year period for which the developer is required to rectify any defect in the units. Some also want compensation in cash. The Tampines Central development has 708 three- to five-room flats which are being sold from $389,000 to $778,000. Nearly all the units have been sold. Residents started moving in in June last year. Centrale 8 caused an uproar in 2011 over the units' high indicative price tags, after which the Housing Board suspended the DBSS scheme." "Lian Group began in 1976 as Sim Lian Construction, a building and construction firm with extensive capabilities and expertise in construction. In 2001, in response to changing market conditions in Singapore, the Group embarked on property development with the formation of Sim Lian Land. Sim Lian Group has since added property investment and other supporting divisions to its business. It is now recognised as a comprehensive property player with an extensive portfolio of residential, commercial, industrial, retail and mixed-use projects in the region. Milestones 1976 Founding of Sim Lian Construction 2000 Sim Lian Group listed on the Singapore Exchange 2001 Sim Lian Land formed, marking the company’s foray into property development 2006 Sim Lian Group becomes the first private developer in Singapore to embark on the pilot HDB’s Design, Build & Sell Scheme (DBSS), The Premiere @ Tampines 2010 Sim Lian Group launched its first Malaysian property, Taman Bukit Bayu, a landed home project in Senai, Iskandar Malaysia 2011 Sim Lian launched KL Trillion, its first integrated development in Kuala Lumpur, Malaysia. Prime office units were released for sale 2011 Sim Lian Group launched its first industrial project, UB.1 in Ubi 2013 Sim Lian Group launched Hillion, its first integrated development in Singapore in the heart of Bukit Panjang. First phase of Hillion Residences condominium units were released for sale 2013 Sim Lian Group acquired its first Australian property, a commercial building at the heart of the Sydney central business district (CBD) 2014 Sim Lian Group made a second Australian acquisition of five investment-grade neighbourhood shopping centres in Eastern Australia"
I noticed that Sim Lian has always been playing it safe, by reusing DEAD SIMILAR design and materials for ALL their housing projects; be it DBSS, EC or Condo (The Premiere, Centrale 8, Parc Lumiere, The Tampines Trilliant and Waterview @ Tampines - believe me I have seen all of their projects!). Yet, with such a long history and presence, does it necessary mean that the workmanship of the developer can be trusted? For the uninitiated, the purpose of CONQUAS was to: Standardise quality assessment to benchmark quality of construction projects. Measure quality of constructed works against workmanship standards and specification. Improve the quality standards of the Singapore 's construction industry. What does CONQUAS cover in a project? "CONQUAS assesses the quality of workmanship in: Structural works - this covers the structural integrity and safety of the building to safeguard the interest of the building occupants. Architectural works - this covers the aesthetics of the building in the workmanship quality of the finishes and components. This is the part where the quality and standard of workmanship are most visible. Mechanical & Electrical (M & E) works - this concerns the performance of selected mechanical and electrical services and installations for the comfort of and use by the building occupants." In summary, Sim Lian's scoring has been at the lower end to average (from 64 to 86). If you are wondering who are the top scorers...here is the list. I am surprised that the China developers such as China Construction (South Pacific) Development Co Pte Ltd and Qingjian made it to the top list. If you wonder, as of today the lowest score is 53. In short, having a long time presence of a few decades doesn't mean anything if the Company is only concerned about profits and expansion and not improving the quality of their projects. Hence I am not surprised by the reports of poor workmanship.